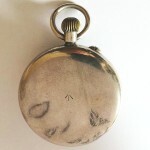 Some collectible IWC pocket watches can be categorized by intended use, rather than by calibre or case decoration. 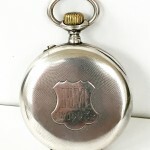 These include pocket watches used by railroad companies, militaries or physicians. 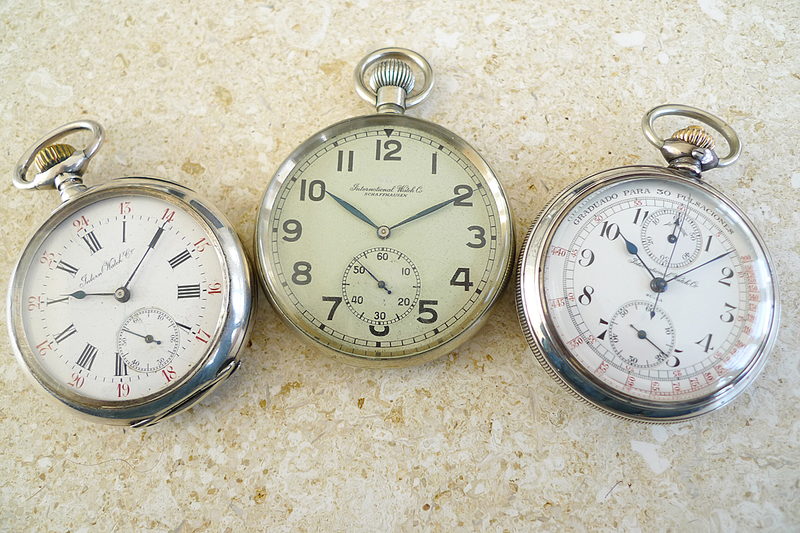 Three of these watches are shown above, of which two are discussed below. 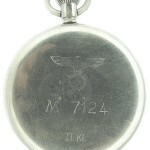 The German Navy watch, shown above in the middle, is discussed on this site’s Calibre 67 page, and another example is below. 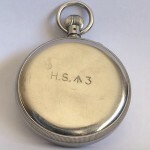 In addition, among the most collectible of these “special use” watches are those which were used by the British Royal Navy. 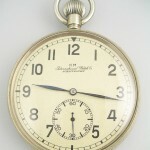 Shown at the top of this page, above left, is the dial of an “RM” watch, used by the Italian railroad company Strate Ferrate, Turin. The back of the case is shown here. 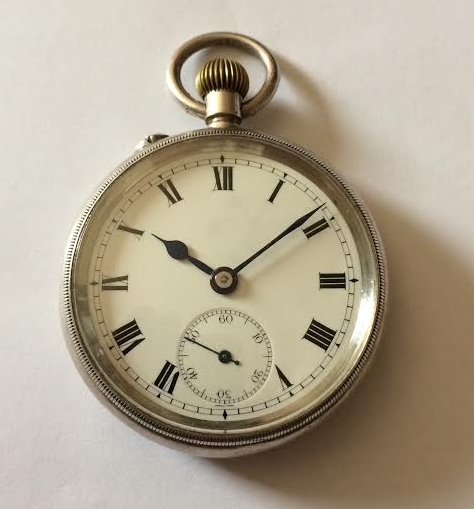 300 of these Calibre 52 watches were shipped in 1901 to this company, since conductors needed to account accurately for train departures and arrivals. These watches have 24-hour dials; the “RM” on the back stands for “Rete Mediterranea” (Mediterranean Road, the name of the line). 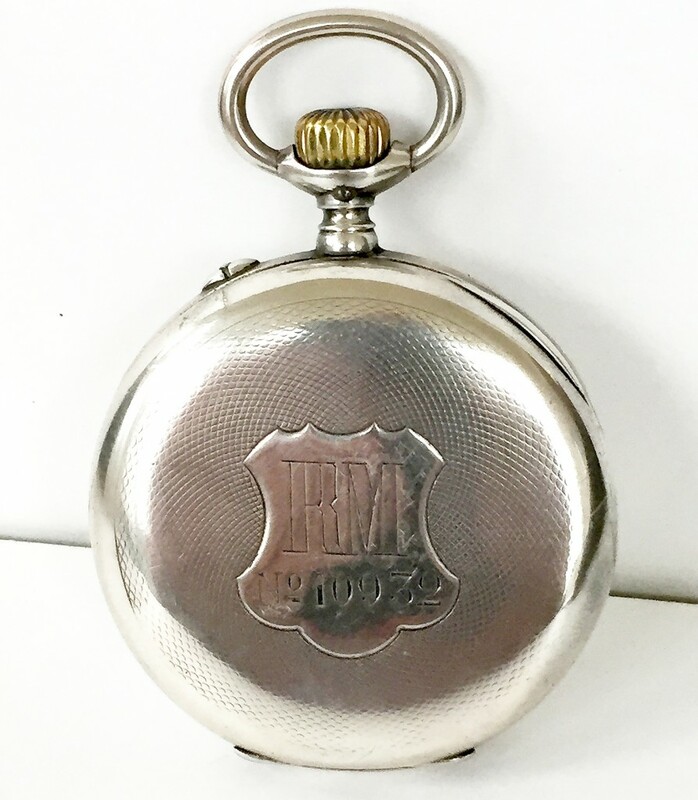 Other IWC pocket watches were also used by other railroad companies. 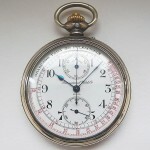 Another special-use watch may be the chronograph, and especially the example shown here which is pulsometer. A pulsometer is intended to help measure a patient’s pulse readings, and therefore is intended for use by medical professionals such as physicians and nurses. 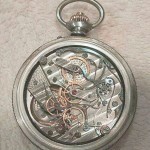 This watch appears to be a hybrid, with a non-IWC case and movement. 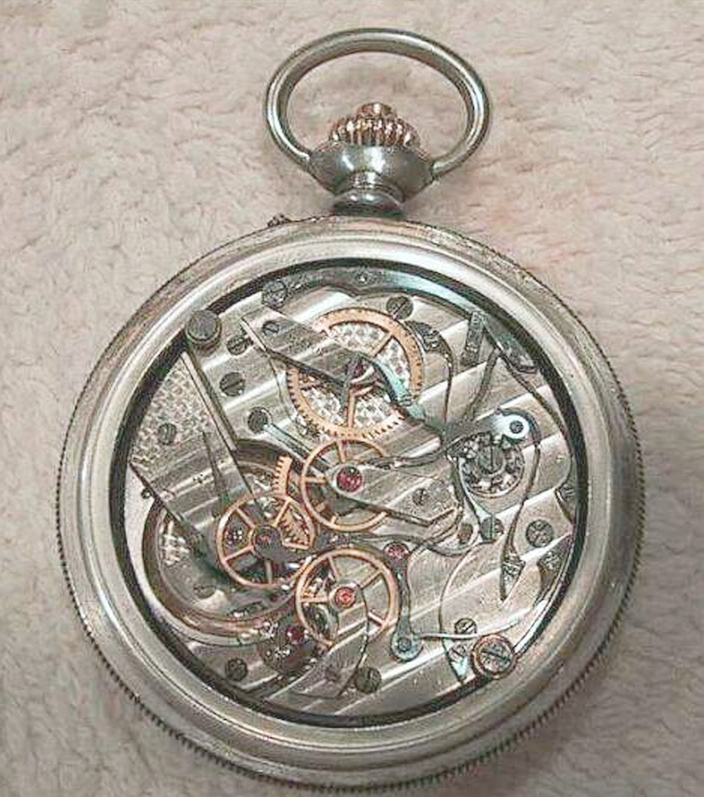 The movement, circa 1910, is most likely by by Nicolet, a movement manufacture in western Switzerland. 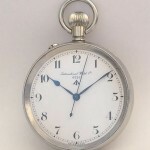 It also has Spanish printing on the dial (Suiza for Switzerland), which leads one to presume that this model was intended for the Latin American market. 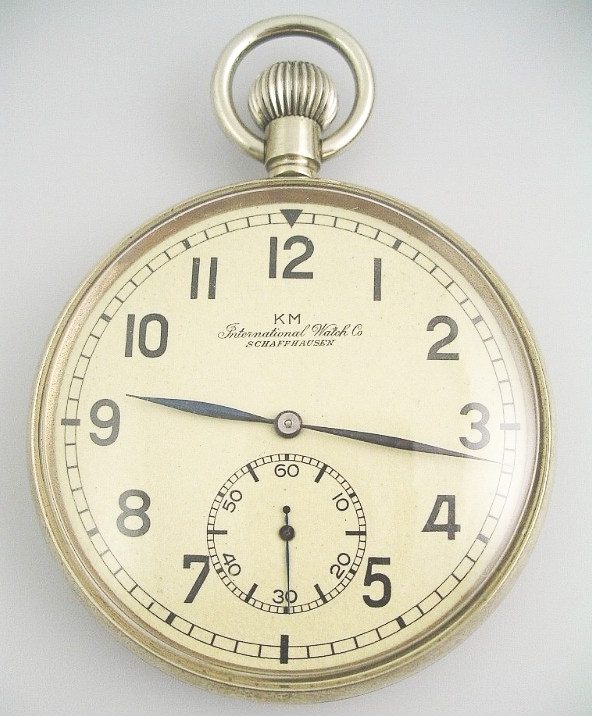 Another military watch is this Borgel-cased Calibre 52 watch from 1915. 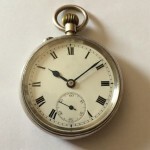 It was most likely used by the British Royal Navy, given the “broad arrow” or pheon on the case back. 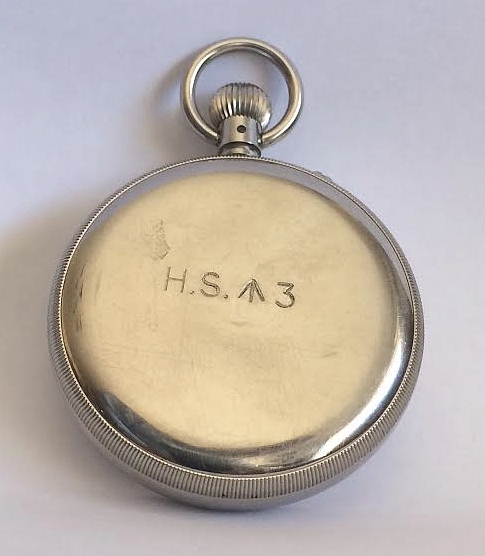 This engraving signified Crown property, and also is shown on the H.S.3 watch above. The Borgel case was an early attempt at producing a waterproof watch housing, based on a screwed case, and was invented by François Borgel of Geneva. 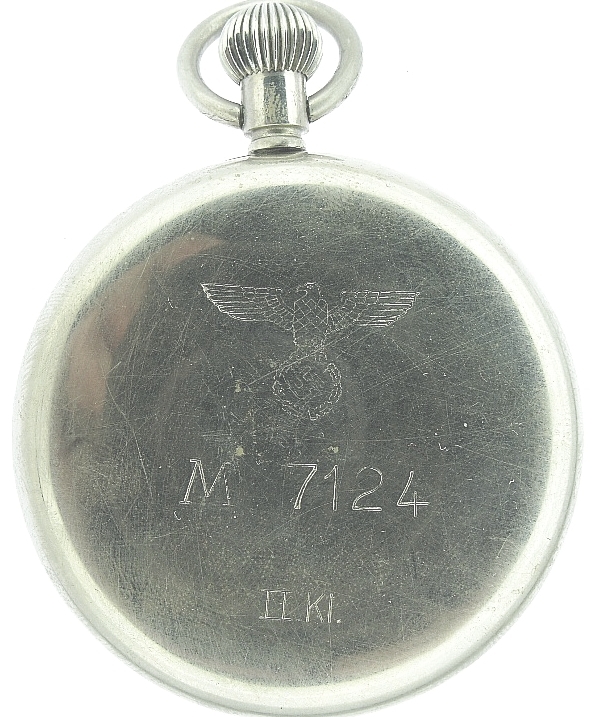 Pictured here is an observation watch made for the German Navy or Kriegsmarine (“KM”) during World War II. 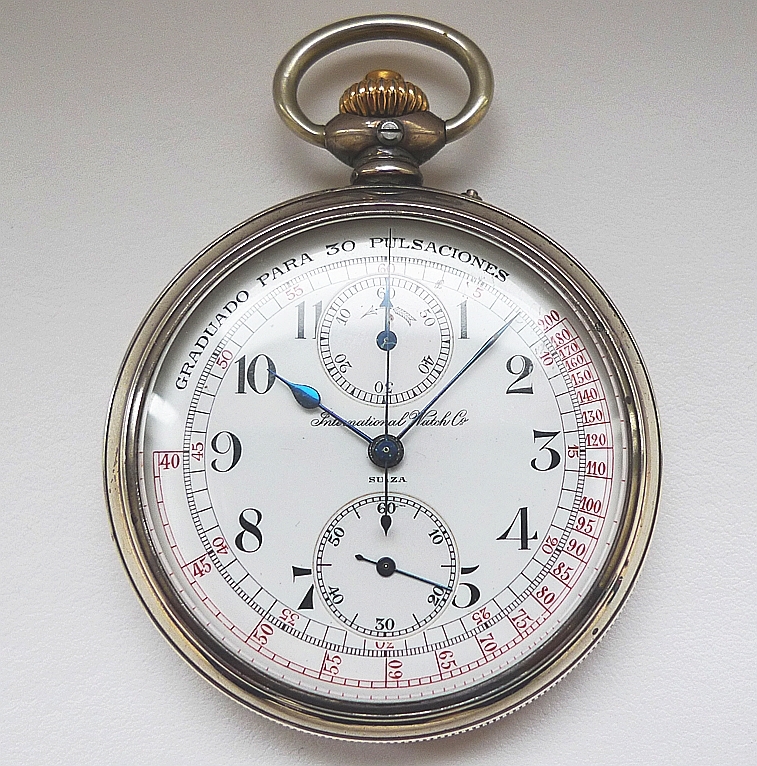 The first version, with a steel case, had a dial diameter of 41mm and was made in 665 examples in two series. 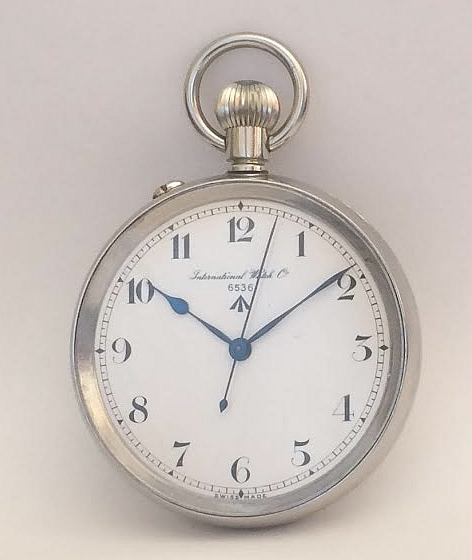 The second version, with a nickel case, had a much larger 49mm dial diameter and was produced in 1500 examples. The backs had a National Socialist emblem with the German Imperial Eagle, which frequently was polished off after the War.